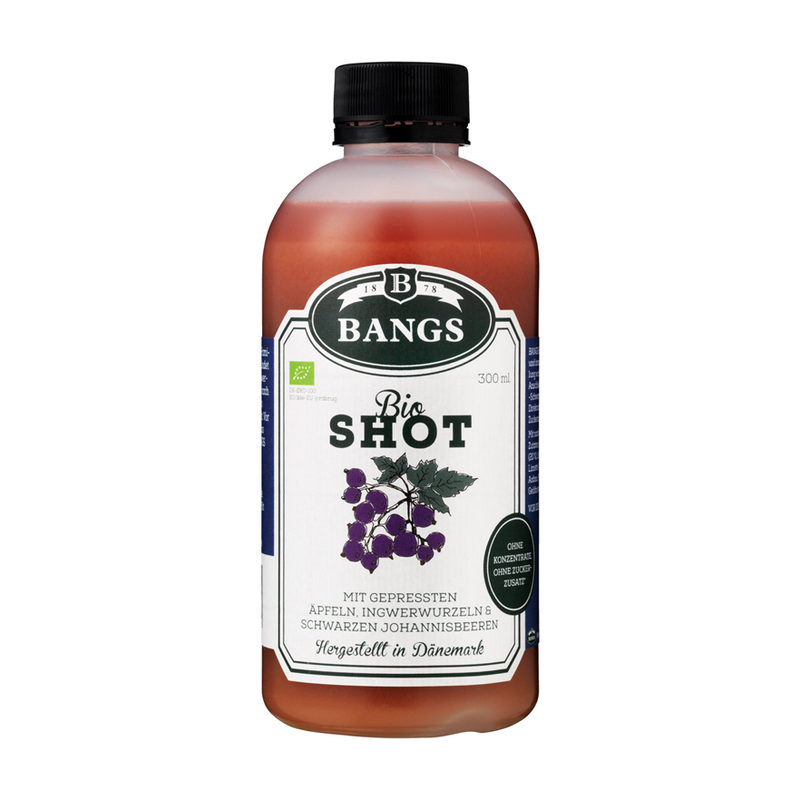 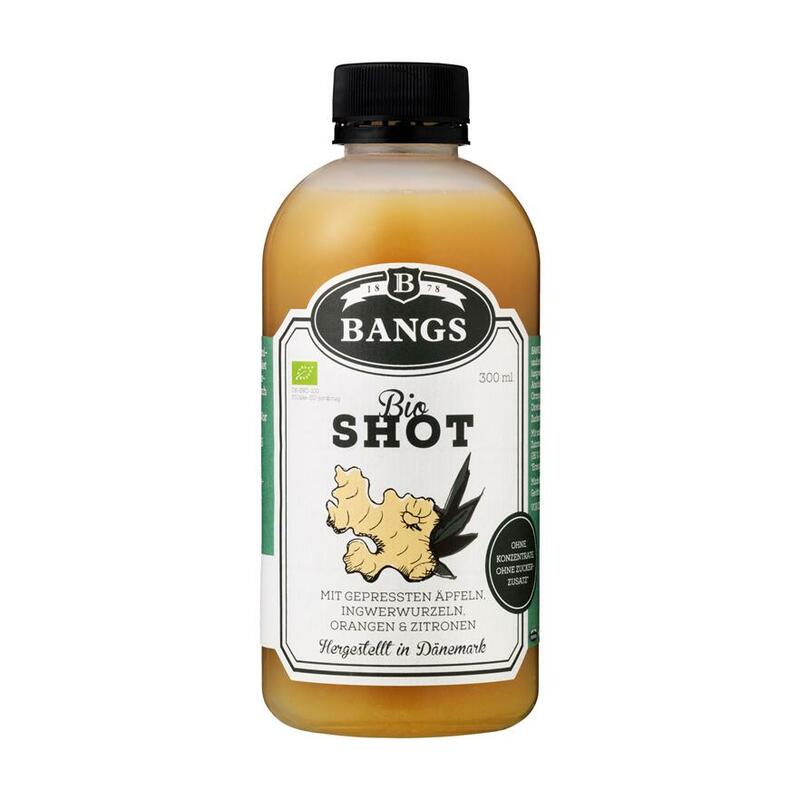 BANGS is a Danish family company which besides jams & preserves also produce Organic Ginger Shots in the bottle size 60 ml. 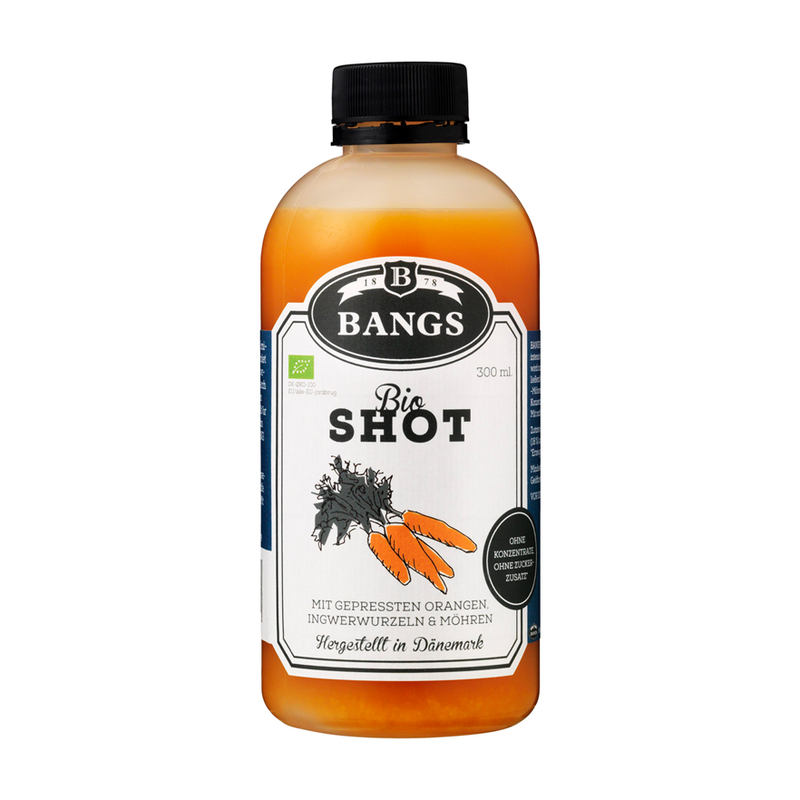 & 300 ml. 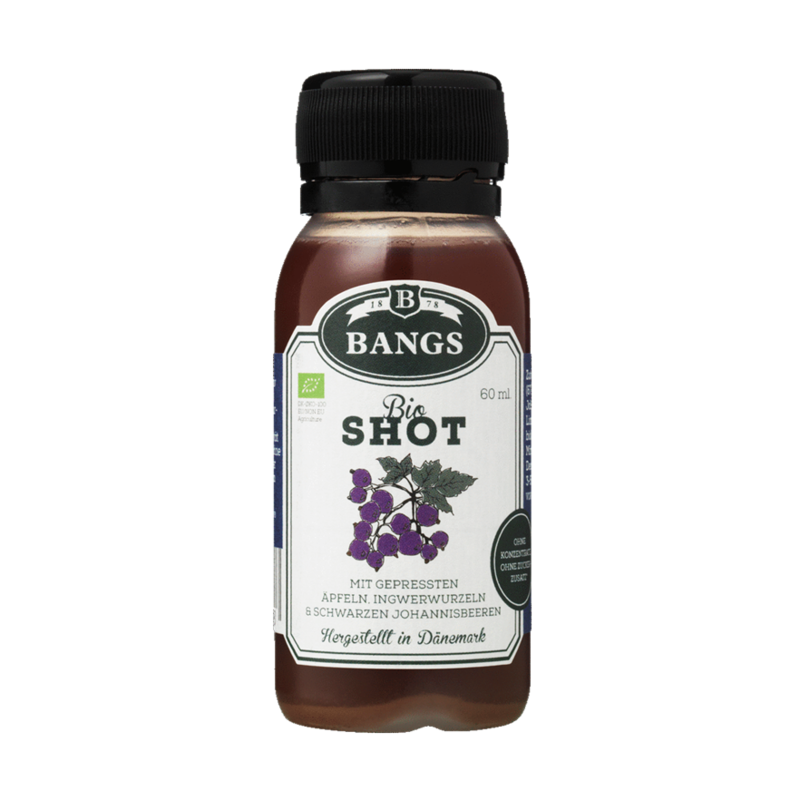 The Ginger Shots are made from pressed fruits & ginger. 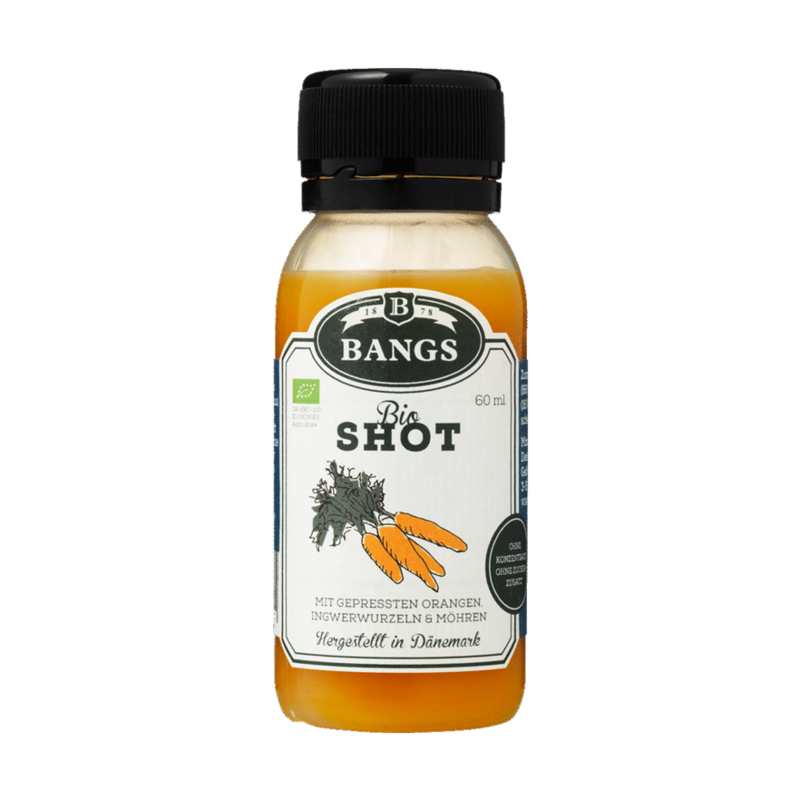 BANGS Ginger Shots are without added water and without concentrates and sugar, which gives the exquisite and intense taste of how a Ginger shot should taste - ideal as a natural part of an active life.